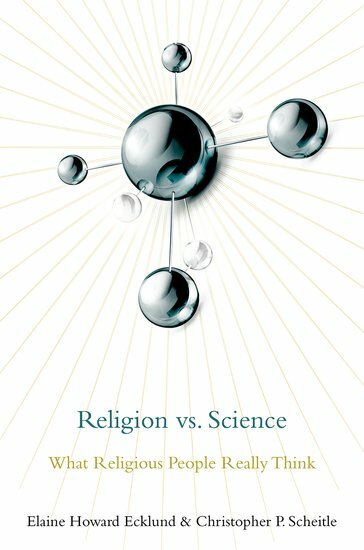 Earlier this year I looked at the first several chapters in Elaine Ecklund’s new book with Christopher Scheitle: Religion vs. Science: What Religious People Really Think. After looking at the issue of creationism and evolution it moved to the back burner. It appears timely to return, however, and look at the next chapter “Religious People are Climate Change Deniers.” Certainly evangelical Christians have this reputation in at least some circles. The statement is not true, although it is necessary to dig a little deeper to unpack the truth. First, even among evangelical Christians some 70% believe that climate change is real and that human are at least partly responsible although only 29% agreed that humans are a significant cause. For other groups (Catholics, Mainline Protestants, Jews, Non-Western Religions, and Atheist, Agnostic and Unaffiliated) the percentage falls between 80% and 90% with a significantly higher percentage agreeing that humans are a significant cause. It is also true that evangelical Christians are significantly more likely to be climate change deniers (10.4% while for the other groups the percentage ranges from 3.9% to 6.3%). 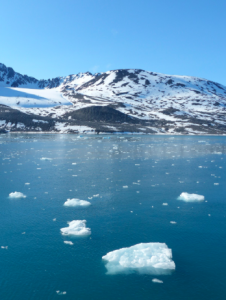 Clearly most evangelical Christians are not climate change deniers – although some are. As a group they (we) are more skeptical than the other five groups studied by Ecklund and Scheitle. Second, and perhaps most importantly, accepting the reality of climate change doesn’t lead to consensus on the appropriate response. One reason is a conviction that God is in control and will intervene if necessary to protect his creation. A belief that we as humans could destroy God’s creation amounts to a denial of his sovereignty. I struggle with this reasoning because it seems clear from my reading of the Bible that God will allow us to go far astray and to reap the consequences of our actions. He may well act to preserve a remnant, but that doesn’t negate the great harm that occurs beforehand or eliminate the responsibility of those who went their own way. Selfishness has consequences. Others expressed the opinion that God is going to bring about a new heavens and earth anyway – so we shouldn’t worry too much about climate change. This is also theologically troubling – our vocation is to be God’s image on earth and let God act in his time, not to speed things up as we pursue our convenience and pleasure. Finally, among religious people including evangelicals there is a general consensus that humans are more important than monkeys or frogs. “A number of religious individuals complained that the environmental movement neglects the important place of humans in the schema of creation, which violates a core tenet of their faith tradition.” (p. 101) The deep green movement devalues the importance of humans and certainly does not regard them as created with the vocation of image of God on earth. Environmentalism is important – but primarily for the impact that bad decisions and actions have on humans. There are important lessons here for anyone who is actually concerned about climate change and other environmental issues and the consequences they can have for human quality of life. The first is to work to move the discussion away from political convictions and ideologies. The second is to keep the focus on people. Environmental actions have human consequences. Bad air quality, smog and ozone, contaminated water, poisoned soils, and rising water levels all have human victims. Christians around the world generally have a more holistic view of creation than American evangelical Christians. The 2011 Cape Town Commitment affirms the importance of care for the world around us with emphasis on the importance of this for human flourishing. This commitment is seconded by the National Association of Evangelicals in the US (NAE Caring for God’s Creation 2015). This strikes the right balance. What is our responsibility when it comes to the environment? You may also comment on Climate Change Deniers? at Jesus Creed. This entry was posted in Environment, Environmentalism and tagged Christopher Scheitle, Elaine Ecklund. Bookmark the permalink.